The American Healthcare Information Management Association (AHIMA) has announced it has released a model PHI access request form for healthcare providers to give to patients who want to exercise their right under HIPAA to obtain copies of their health data. The model PHI access request form is compliant with HIPAA regulations and can be easily customized to suit the needs of each healthcare organization. AHIMA claims that until now, a model PHI access request form was not available to healthcare providers. 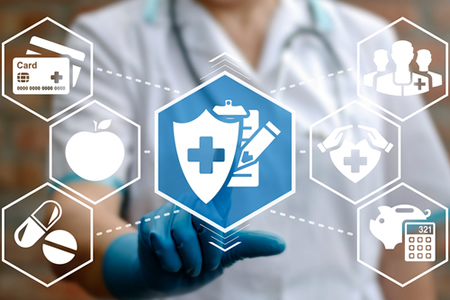 HIPAA-covered entities have had to develop their own forms and there is considerable variation in the forms used by different healthcare organizations. Patients with multiple healthcare providers often find the process of obtaining their health data confusing. AHIMA has listened to feedback from its members and industry stakeholders who explained that the process of accessing medical records was often confusing for patients. Even some healthcare organizations are confused about what is permitted and not permitted under HIPAA Rules when it comes to providing access to health data. The new model form should help clear up confusion. It is hoped that the new form will be used as a standard across the industry which will make it easier for patients to exercise their rights under HIPAA, regardless of which healthcare providers they use. The ONC recently issued a report in which HIPAA-covered entities were given tips to help streamline the process of providing patients with access to their healthcare data. The ONC report explained its research has shown that oftentimes patients are confused about the process of accessing their health data. Forms are confusing and patients are often unaware of their rights under HIPAA. For example, many are unaware that under HIPAA Rules they are permitted to have PHI provided in the format of their choosing. Paper copies can be requested or they are entitled to have their health data in electronic form – electronic copies can be sent via email or provided on a portable storage device such as a CD or zip drive. The new model PHI access request form ties in with the advice given by the ONC and patients can stipulate how they would like their PHI copies to be delivered. The form should also make processing requests straightforward for healthcare providers and help them to streamline the processing of PHI access requests. The form is suitable for use by all types of healthcare providers, from large multi-hospital health systems to individual physicians, clarifying what patients have the right to access and what healthcare organizations must provide. The final version of the PHI access request form can be downloaded from AHIMA on this link. The model PHI access request is self-explanatory for patients, but AHIMA has given additional recommendations for healthcare providers who wish to start using the new form. AHIMA suggests the form should be customized to match the capabilities of healthcare providers’ systems and can be updated as required when systems are upgraded. Healthcare providers can also add their address, logos and barcodes to the forms should they so wish. While the form is HIPAA-compliant in its original form, healthcare providers that customize the form must ensure that any changes comply with HIPAA Rules. Healthcare providers are told they should read 45 CFR 164.524(c)(3) to ensure the form stays compliant. Internal policies can be developed by HIPAA-covered entities, but AHIMA stresses those policies must be in line with HIPAA guidance and should not serve as a barrier to health data access. HIPAA Rules allow covered entities to charge patients fees for providing copies of their health data. AHIMA recommends providers consult OCR guidance on fees as well as state laws to ensure compliance.